Experiential marketing provides an opportunity to connect with consumers like no other. Creating an experience around your brand that WOWs people, makes them smile, gets them to take notice of the unique features of your products, expresses the meaning of your brand identity, and motivates them to share with others, is a powerful tool to penetrate the mind-set of the "new consumer". In a landscape where the traditional advertising message holds diminishing credibility, creating a customer experience around your brand, your products, even your people, is a welcome way to gain the trust and interest of your target audience. The Web 2.0, social media, and mobile are finally getting real attention from companys that understand the redistribution of the marketing/advertising model. That's important because the age of the consumer as curator of the brand message is upon us. And that makes the integration and use of interactive experiential marketing transformational and tangible in the consumer/brand dialog. From another perspective: interactive experiential marketing is clearly a marketing approach, but in a discreet manner that encourages people to seek-out your message through interaction and experiences, rather than have it pushed at them, mindlessly, over and over again. Given a consumer's ability to tune-out and turn away, the advantage is clear. SPIA has a strong record of creating interactive experiences that get people interested in products and the names behind them. 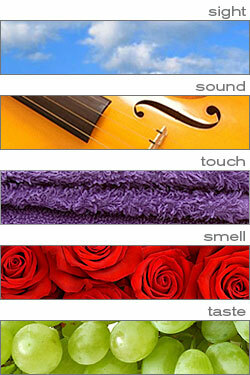 As an industry pioneer, SPIA introduced interactive fragrance marketing, over a decade ago. Since then, we've expanded and expounded upon the unlimited possibilities that interactive marketing methods can deliver and can now utilize up to all five senses in unparalleled ways. Isn't it time for you to share memorable experiences with your customers?